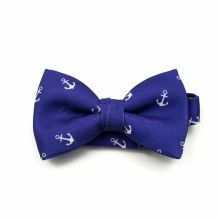 Smooth sailing in full trim and a good marine blue bow tie to match. 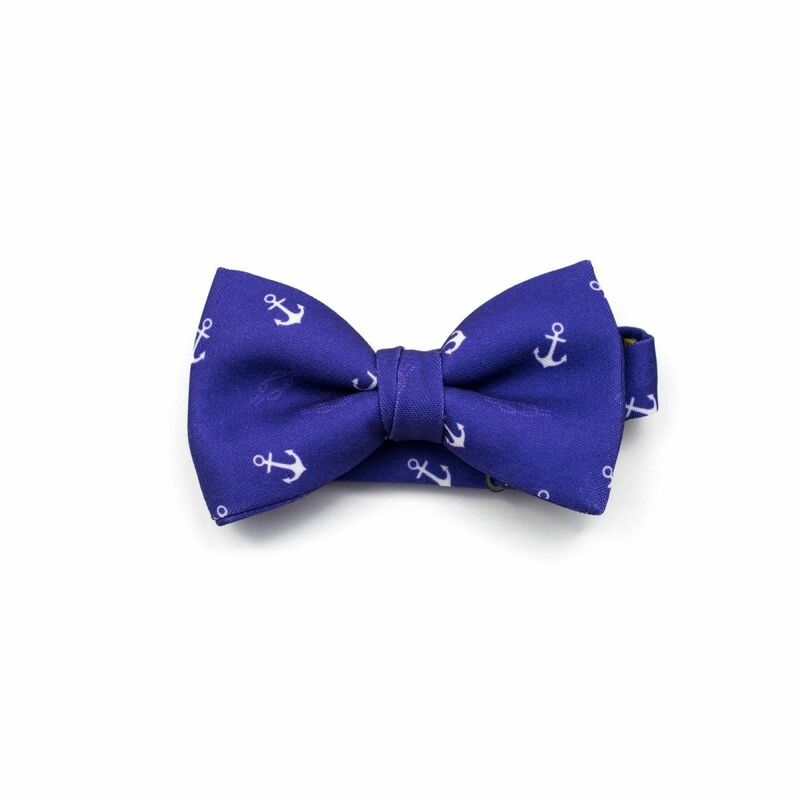 From a cocktail on the high sea to your reception at the nautical club, this elegant bow tie with seafaring motifs of white anchors and knots will be perfect. The Nautical Bow Tie was designed by Colton Foster for the Sea line and was created with our 100% polyester Burlington fabric to give it a casual look.